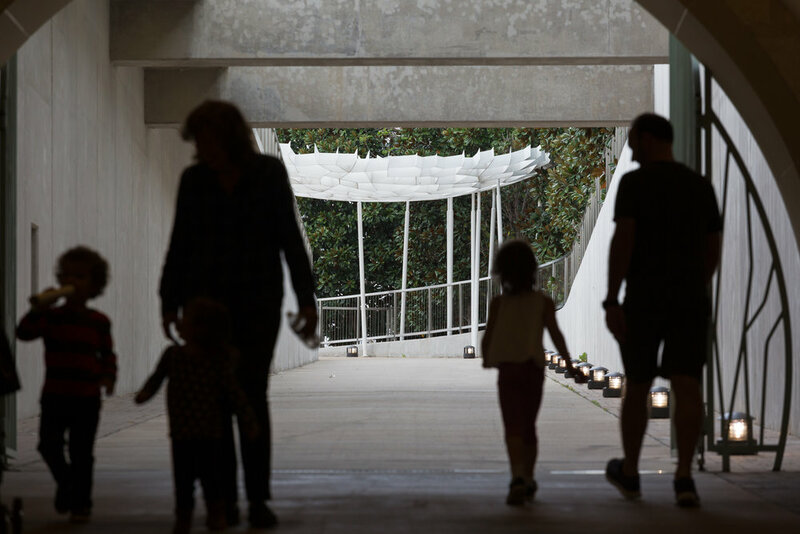 Acting as a gateway and entry pavilion Leaf Structure is sited at the top of a ramp that connects a parking structure on the other side of a highway to the Dallas Arboretum Children’s Garden. As one emerges from the tunnel and ascends the ramp, the canopy, glowing in the sun, becomes visible. The Pavilion both announces your arrival on the site while marking the location of the ramp upon leaving the site. The Dallas Arboretum is a garden of trees. 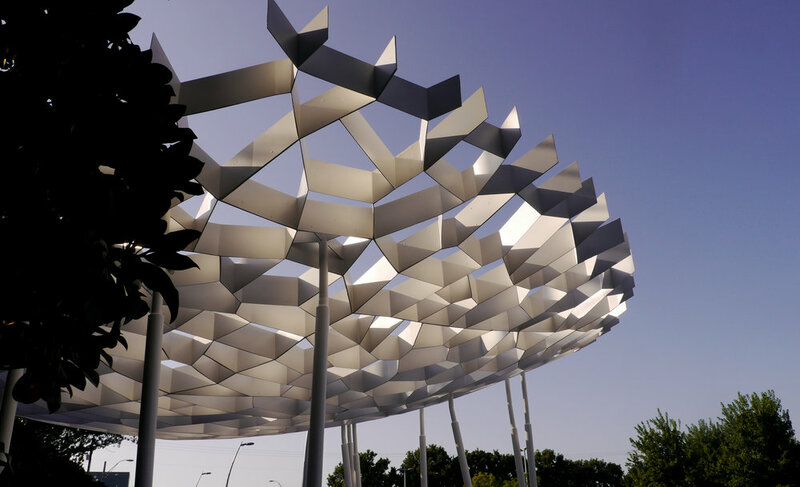 Leaf Structures steel canopy form is derived from the tiny cellular structure of a leaf. 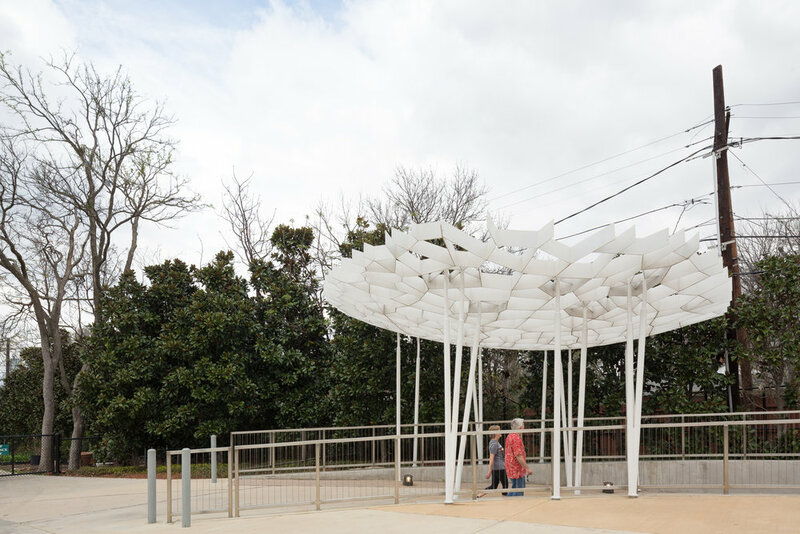 The canopy is meant to reveal the basic geometric building block of all tree leaf forms. 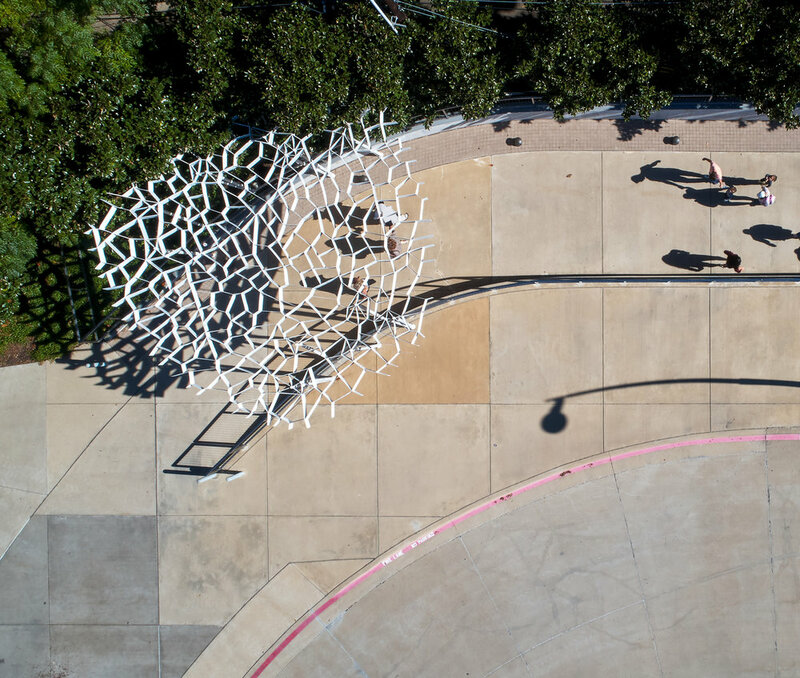 The canopy plays with the intense Texas sun changing through its complex play of shadows often projecting itself on the ground forming an ever-changing entry. 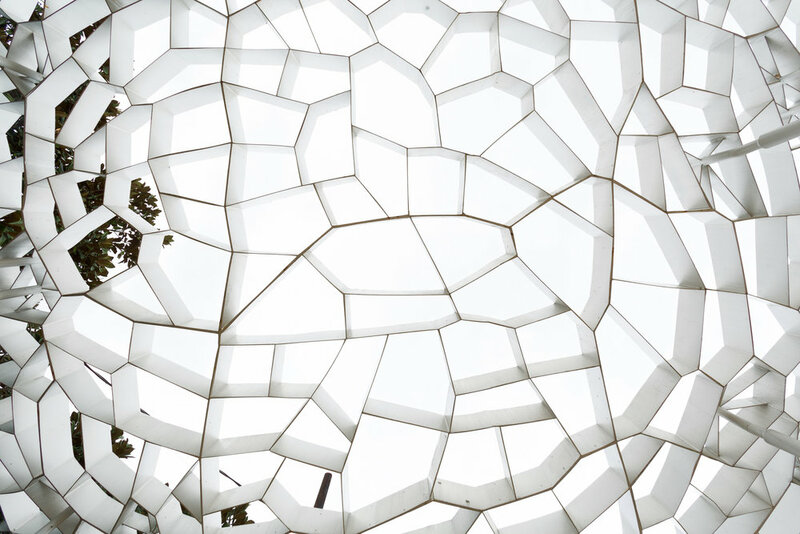 The pavilions internal structural and construction logic parallels leaf pattern of growth.